Over the course of my 34 years, I’ve had wonderful experiences, passionate relationships, thrilling wins, and tremendous privilege. I’ve also had crippling heartbreaks, crushing defeats, and desperate trials. Such is the experience of a life well-lived. It’s exhilarating and heart-wrenching, beautiful and ugly all mixed together in an unpredictable roller coaster ride. I spent many years in a pit of despair believing this is just how life goes. I wondered where God was and if He was ever going to heal my broken heart. At times I even questioned His existence. I kept hearing about His profound love and yet this world is so full of atrocious pain and heartache. It was even harder to think that I was one of the lucky ones— that many people, just around the corner and across the planet, were enduring much harder circumstances than I could even fathom. When you love someone enough to build an intimate relationship with them, the depth of your vulnerability matches the depth of your love. Life can be messy and relationships are hard. I’m sure you know this as well as I do… The truth is, we’ve all had our hearts broken more times than we’d care to admit. The hardest pain we endure is always related to our most precious relationships. When you love someone enough to build an intimate relationship with them, the depth of your vulnerability matches the depth of your love. Sometimes these offenses are intentional and many times they aren’t, but they hurt to the same magnitude regardless. On my own journey, out of sheer necessity to survive, I’ve learned a lot about healing. 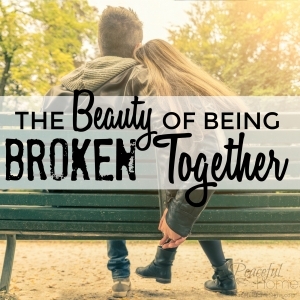 God has revealed to me with clarity that He absolutely will heal our broken hearts. The question only remains for each of us—how will He do it for ME? Most often healing is a process that He uses to teach us more about Him and about ourselves. Sometimes healing comes as a miracle we receive instantly during an encounter with God. He touches us at our core and we receive the gift freely. These testimonies are precious and breathtaking, and it’s completely biblical to walk in faith that God might choose to heal us this way. But most often, healing is a process that He uses to teach us more about Him and ourselves. It’s a give and take that we work through together with Him. 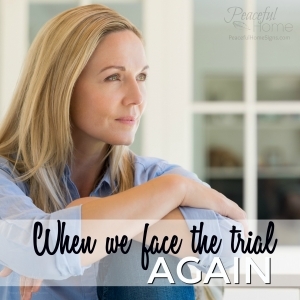 When we’re suffering, the enemy comes and whispers lies into our hearts to keep us in defeat. When we feel like nothing will ever change and life is too heavy to bear, we won’t do anything for God’s kingdom and the enemy has us right where he wants us. We stay in a rut or worse yet, spiral further downward. After all, the enemy’s only goal is to steal, kill, and destroy everything that belongs to God, including our very lives. That’s why, while I encourage you to stay in FAITH to have your broken heart healed and restored, I want to share some practical steps that I’ve learned to activate. 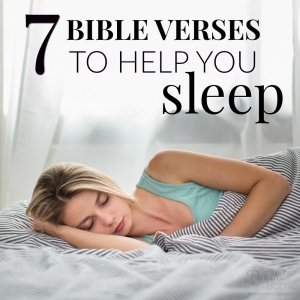 They will help you partner with God for healing, strengthen yourself, and live a more victorious life. I pray in the name of Jesus that you would be COMPLETELY HEALED. I ask Holy Spirit to overwhelm you right now with peace, encouragement, and divine revelation. “Forget the former things; do not dwell on the past. See, I am doing a new thing! Now it springs up; do you not perceive it? I am making a way in the wilderness and streams in the wasteland,” (Isaiah 43:18-19). We HAVE TO CHOOSE to believe there are good things ahead. We have to TRUST that there is a plan to turn everything around— even when it doesn’t look like it. Start small. Make little plans. Involve people who support you and pour into you—especially those who will encourage your faith. Plan a girls night or weekend. Start dreaming up a vacation. Journal about all of things that you want on your bucket list. Not only will all of this give the enemy a swift kick in the pants, but you’ll put all of heaven into motion. The kingdom of God operates on faith, so start dreaming again and build yourself up. When you experience a tremendous heartbreak, it can take a huge toll on how you see and value yourself. 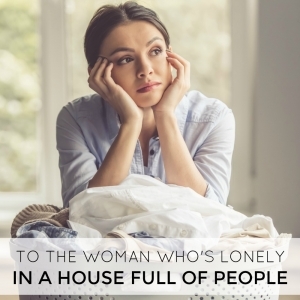 We feel rejected, abandoned, or both, and those of us who have been there know there’s little relief for the relentless sorrow. We might perk up for a few hours or days if a distraction comes along, but the pain creeps (or rushes) back in as soon as life returns to a normal routine and rhythm. Once you connect deeply with Jesus and get Him into your heart, everything changes and nothing has the same power over you that it once did. That trusty book can change everything. Especially the New Testament. If you’re pretty new to it, I encourage you to begin with the book of John. Pour the truth of what God thinks about you into your soul. Ask Holy Spirit to remind you (or maybe learn for the first time) how God sees you. Not only will it help you heal and give God room to work on your heart, but it will help prevent such pain from happening ever again. I’m not saying you’ll never get hurt again, but once you connect deeply with Jesus and get Him into your heart, everything changes and nothing has the same power over you that it once did. “Do not conform to the pattern of this world, but be transformed by the renewing of your mind. Then you will be able to test and approve what God’s will is—his good, pleasing and perfect will,” (Romans 12:2). It’s time to put some effort towards watching what you think and say– and making a conscious decision to choose LIFE. I remember distinctly what a profound realization it was for me to learn that we don’t have to entertain EVERY thought that comes into our heads. In fact, if we’re in a bad place emotionally—we absolutely SHOULDN’T. “Finally, brothers and sisters, whatever is true, whatever is noble, whatever is right, whatever is pure, whatever is lovely, whatever is admirable—if anything is excellent or praiseworthy—think about such things.” (Philippians 4:8). God spends considerable time in His Word telling us what to think about for a reason! Have you ever spent so much time dwelling on something negative that a simple thought turned into an absolute meltdown? Proactively shut those suckers down before that happens and choose to focus on things that are life-giving. To take this one step further— consider that whatever you think about most will ultimately come out of your mouth. When my stepdaughter Belle was a little girl she absolutely LOVED the Disney movie Beauty and the Beast (nope, the irony wasn’t lost on us!). She watched it CONSTANTLY and she would dress up in her “Belle” costume dress and act out the scenes along with the movie. Even when the movie wasn’t playing, she would talk about how she and the Beast were going to get married and she would describe their life together in the castle. It completely consumed her thoughts and words. Think about the impact for us if we spend all of our time thinking about and talking about how hard our life is and focusing on our pain? We would become toxic and so would the environment around us. “The tongue can bring death or life; those who love to talk will reap the consequences,” (Proverbs 18:21). Taking control of our words isn’t just a to-do on our “Good Little Christian” checklist, it’s absolutely critical for our wellbeing, our future, and our healing. Need more convincing? Here are 51 verses about the power of your Words! But forgiveness for those who have hurt us is 100% non-negotiable for complete healing of the heart. It doesn’t have to be the first step—in fact for many, it can’t be. However it does have to take place. 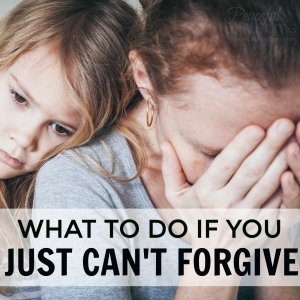 I think it’s important to clarify what forgiveness is… and what it isn’t. Forgiveness is releasing your “right” to hold something over another person or to take revenge. It’s giving the person and the offense over to God to deal with. It’s giving up to win. Forgiveness IS NOT forgetting, trusting, or saying what happened is OK.
Forgiveness is actually much more about YOU than it is about the other person. We can let go of our bitterness and hatred for others without trying to pretend the offenses never happened. In fact, that would simply be unwise and unproductive. What we’re pursuing by offering our forgiveness is a heart-change within ourselves that brings freedom and healing. An AMAZING ministry that has online tools to help with forgiveness and healing of heart is Restoring Relationships. I cannot recommend them enough. They also have one-on-one remote counseling available for really serious cases with some of the top Christian counselors in the world. Here’s my personal Restoring Relationships story. Sometimes the things that break our hearts are so devastating that they change us forever. All of the steps we’ve discussed already are helpful and necessary, but I had to add this last step to really help me through the most gut-wrenching days of my life. Don’t get me wrong—I think this one can help EVERYONE—I’m just saying, if your story is profoundly heavy, this one will really help get you through. Sometimes all you can do to begin to heal is focus on heaven. Literally. When we set our minds and hearts on eternity and the promise that there is a place with no pain, no tears, and no heartache, it can soothe the broken heart like nothing else. When I practice this strategy, I picture what I will do in heaven, who I will spend time with, what it will feel like, and how everything good and beautiful on earth is amplified in heaven. It doesn’t take too long when you stay fixed on this mindset to begin to smile again. If I need some help getting in that place, I go to YouTube and watch a sermon by Kat Kerr. She’s pretty out there, but she preaches about heaven and it’s incredible to hear. The KEY is— you can’t live in the clouds. Spend enough time with God asking Him to give you glimpses of heaven so you begin to feel alive again. THEN bring heaven down to earth and use your new hope and vision to connect with other people. I found that it was most encouraging to find people who had a harder story than mine (because it helped me to stay humble and others-focused) and I helped them come alive again, too. We would talk about the things of God, heaven, our futures, and how we could bring more people with us. I can find a place of gratitude for the person I have become as a result of what I have overcome. We can’t erase pain in this life, but we can survive it, heal from it, and begin to thrive. At this stage in my journey I can find a place of gratitude for the person I have become as a result of what I have overcome. I’m grateful for my testimony, and I can focus on the beauty that emerged from my ashes. Today my passion is to stay so close to God that nothing can ever hurt me to the point of devastation again, AND to connect with others that I can encourage and counsel as they take their own journeys through pain. Will you join me? 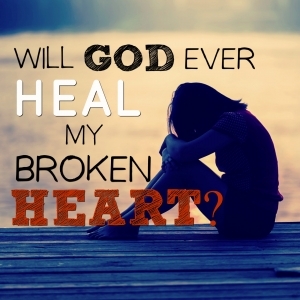 Will you get up again and partner with God to heal your heartache? Will you forget the former things and press on to the future and the hope that God prepared for you before time began? Real quick—if you are in a relationship where you are being verbally, emotionally, physically, and/or sexually abused— please read this post. I have a very specific message for you. What would you add to this list?? How have you overcome heartbreak? I would be honored to hear your story! Learn More about this sign! Wow, Lizzie! This is awesome. So powerful and spot on. Love it. Thank you so much Stu! I took a look at your blog! Great stuff too! Lizzy what do you do when a man of God hurts you? 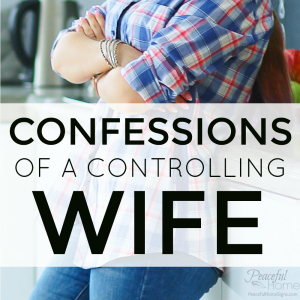 What do you do when God is the one who broke and destroyed you by killing your husband? The only one in the world who loved you. Susan– I can’t even imagine the pain and loneliness you may be experiencing during this season. I can’t pretend to personally understand the loss of a spouse, but I do know loss and even moreso– I know our God. 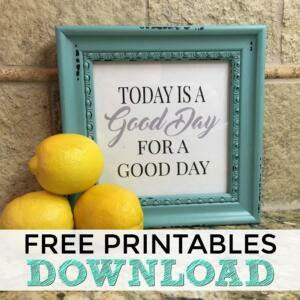 Here is some encouragement for you. “THINK ETERNAL.” Let this become your lifeline. When this world feels impossible and our pain feels endless, we must fix our eyes on eternity. (2 Cor 4:18) If you stay focused on your grief and the loss, you will be swallowed into a pit of darkness. Rise up, Sister! Death is not the end. 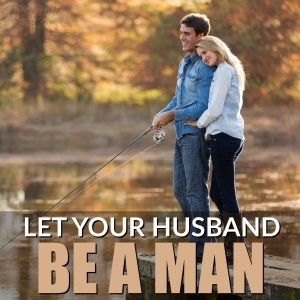 Your husband is not gone, he has moved to heaven and will be waiting for you when you get there. I know you miss him desperately, but there is more for you to do here. This life is only temporary. 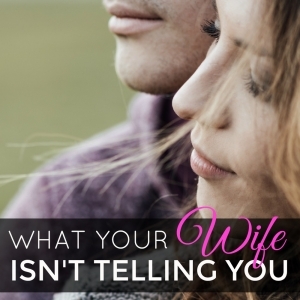 God used your husband to give you a glimpse of how much HE loves you. Press into Him now. Seek Him with your whole heart and pursue peace with everything you’ve got. Hi Lizzie, Sorry it took so long to get back to you, but nothing is better, in fact it gets worst everyday. Really bad health year, can find a job, (overly qualified) car is braking down, and no money and so much more. Every night I say ” Another day you (God) have treated me like a piece of trash, not surprised everyday you treat me like a piece of trash”. Nothing to live for no reason to live. I can wait for death so I can be back with my John. I just sit here everyday ticking off the days. I watched the videos and read the blog but they have family I do not. I know now that hope is gone, and they is nothing to look forward to. God is hateful and cruel and one day He will have to justify every hateful and cruel thing He has done to my husband and I, He can’t they is none. Really I find Him a coward. I just started ready your blog and became totally engrossed in it. I got to the link about Restoring Relationships and clicked on it with excitement hoping there was more information on how to heal from a broken heart, only to see that it is taylored for women. I know much of what you have written here would apply to men as well, but my specific question is this. Is there a “Restoring Relationships” program out there for men that you know about? I am going to keep reading everything you have shared here, but would welcome any suggestions you may have. Thank you very much! In just the last 10 minutes of reading here, I finally have some hope that I will not grow old and die alone because of my failed relationships of the past. Hi Lizzie, I just discovered your blog and this post is incredible. Thank you for such inspiration. I’m going through a tough time right now and trying to refocus on God as the center of my life and know that I can live a perfectly happy and healthy life in this season of singleness after being rejected by the person I love more than anyone on this earth. Thank you so much. Tim- you have literally just described exactly what I’m feeling and what I’m going through right now. I’m so sorry, I fully understand your pain. I pray you and I are made whole again. I have been rejected by the one and only man that I have or ever will love , the one person I love more than anyone else in all the universe. I cry day and night I can barely sleep I’m constantly haunted by memories and thoughts of him and of all the beautiful dreams for the future that I had with him that now are long gone and dead. My life is absolutely nothing but pain and suffering and terrible agonizing loneliness. I feel ugly and worthless and cheated out of the most beautiful blessing In life of having love and romance. I have no friends and very little family and my life is basically a living hell. The only thing that does help me is to imagine and dream about Heavon. That’s what saves my life everyday. Danielle– I’m desperately sorry to hear of your heartache. Press into God—- for there you will find hope and peace. I’m so glad that you are focusing on eternity– that has saved my life before too! <3 The other thing that helped SO MUCH was to find people in a worse situation than me and to do what I could to help them---- the homeless, single moms in desperate situations, etc. It is balm to the soul to help someone else through their pain-- I promise! BLESSINGS!